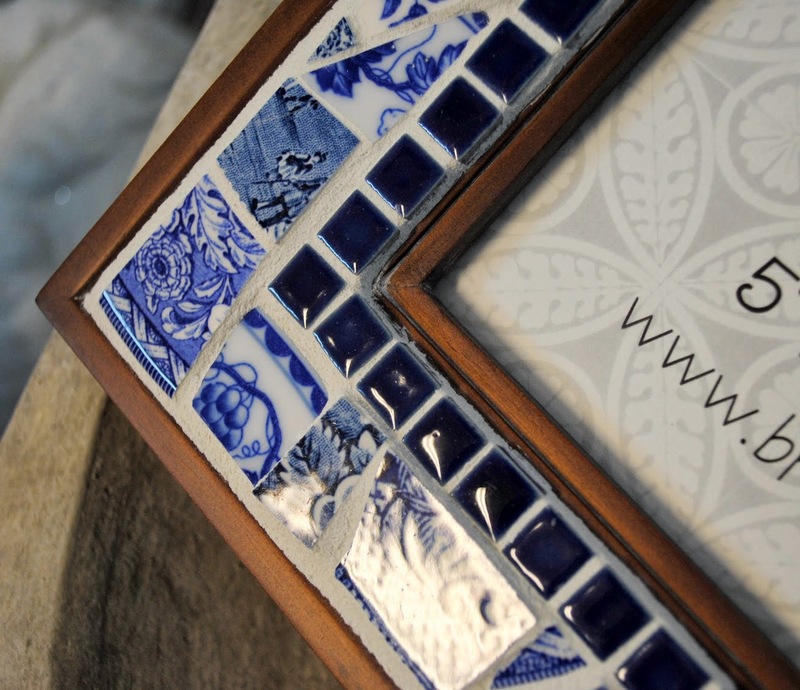 A simple vintage, walnut wood 5" x 7" photo frame is covered with a mosaic of the freshest blue and white toile porcelain tile pieces. 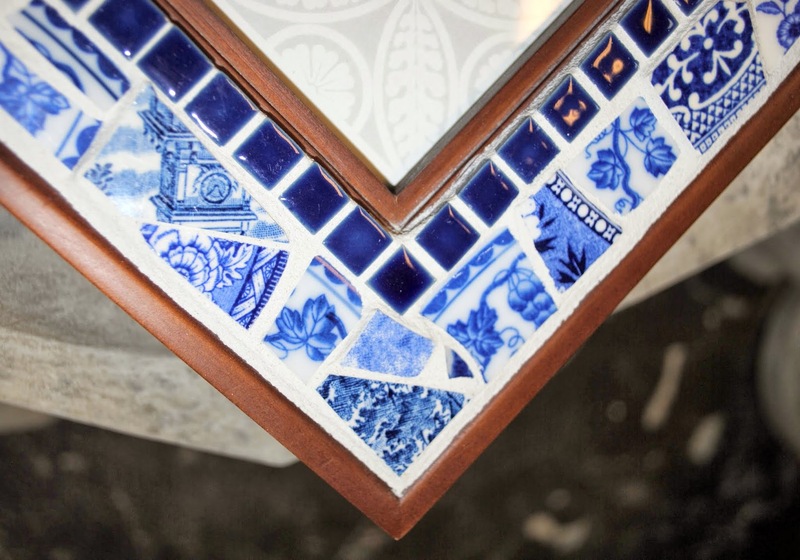 An inner border of mini navy blue ceramic tiles sets off your favorite photo. Would look great accenting a wedding or family portrait. Wood frame has easel back for horizontal or vertical display. Clear glass. Outside dimensions just under 9" x 11". 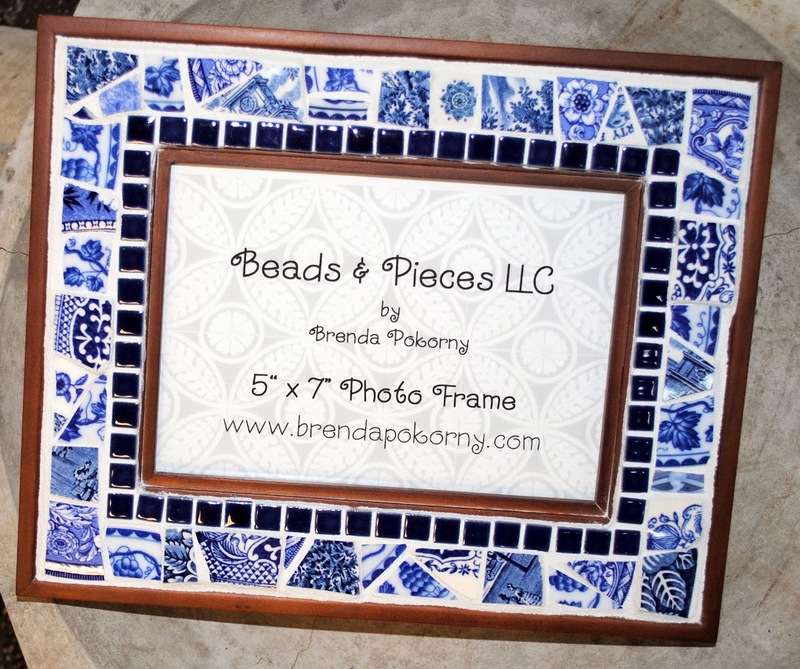 Or, contact me to order your custom mosaic frame!